The humble moepd is everywhere in Bali, and by everywhere I really do mean everywhere. Over the past month I’ve seen a moped transport a family of 4, dozens of bouncy balls, and 5 meter long iron rebar for construction. There are even some mopeds with food carts built into the back seat. 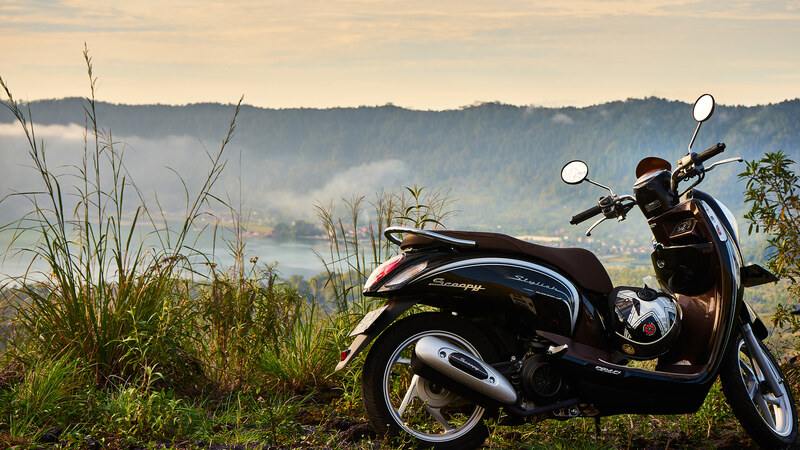 Used by tourists and locals alike it’s hardly surprising that half way up the trail of an active volcano one can still stumble across the mighty moped.